As your health coach I will help you figure out what your goals are and keep you accountable for them! We will take things step by step and add attainable changes that you decide you can commit to. The program is six months long and consists of two sessions a month which can be done in person or over the phone. Between sessions you can email me with any questions or concerns that arrise. The price of the program also includes books, recipes, meditations, and whatever other motivational activities we will use to help you see your patterns more clearly. You will fill out a Health History form so we can get to the details of what adjustments you want to make to your current health and wellness. There is a $10 charge for the initial consultation. Once you decide to work with me, we will schedule two appointments a month for six months. I feel strongly about a six month working relationship because it accounts for the inevitable ups and downs of life! It is easier to make life style changes when you are just beginning and I will be there down the road when you hit the bumps and the curves. Once you have completed the entire program we can decide if you would like to renew the program and we can tailor how many sessions and how often going forward. Children are welcome in my office during our health coaching sessions. Follow up sessions may be done over the phone to accommodate busy schedules. My specialties are helping clients with low energy or exhaustion and helping with natural hormone balancing. 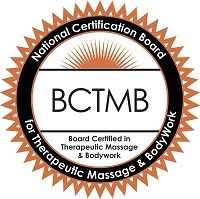 Massage Therapy Rates: $50 for 60 minutes, $70 for 90 minutes, for first time visits. See the pricing/deals page for great deals, packages, and 120 minutes rates! Scheduling: I am available Monday – Friday 9 am-12:30 pm, and Tuesday evenings 6 pm-10 pm, and Saturdays from 9 am-2 pm. More more hours will be available fall 2017.